NUIG students of the MA in production and direction Julian Ulrichs (Galway) and Richard Walsh (Kerry). TWO NUI, Galway students - Richard Walsh and Julian Ulrichs - have won the Best Short Documentary prize at the Radharc Awards in Dublin for their short documentary FGM – No Way Home. 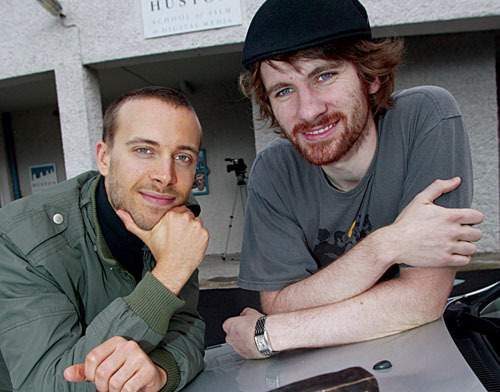 Walsh and Ulrichs are students of NUIG’s MA in production and direction at the Huston School of Film & Digital Media. The documentary deals with the issue of female genital mutilation in relation to African refugees in Ireland. It is directed by Ulrichs and produced by Walsh. The documentary team travelled to Africa to film some of the footage and the resulting piece is a hard-hitting yet sensitive exploration of the cultural and legal aspects surrounding the issue of female genital mutilation. The Radharc Awards honour the memory of the late Fr Joe Dunn, co-founder of Radharc Films. The awards are presented to the producers of documentaries of outstanding quality, which address national or international topics of social justice, morality, or faith. Page generated in 0.1666 seconds.